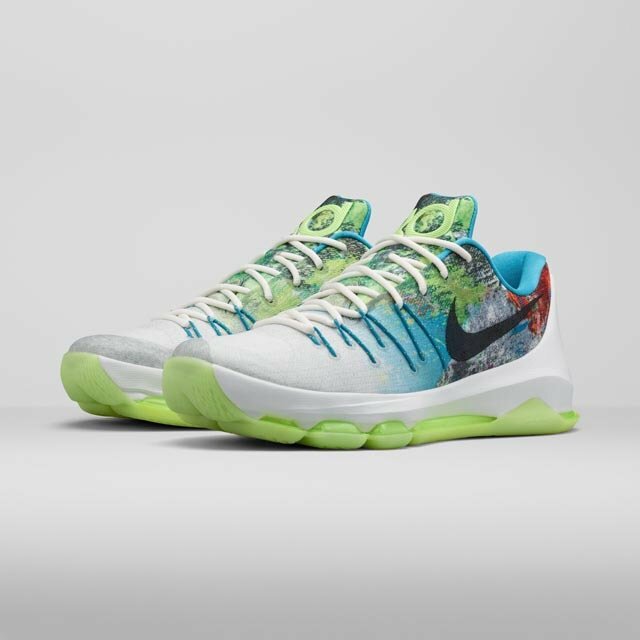 Nike’s yearly N7 collection that pays respect to Native American heritage is coming upon us, and Nike plans to start it off by showing us the Nike KD 8 ‘N7’. 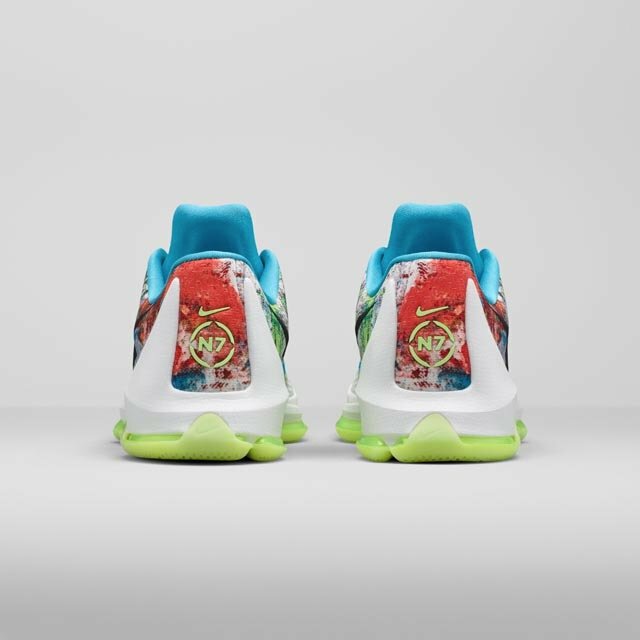 Kevin Durant is a major supporter for the N7 collection and the Native American heritage, results that are of the Oklahoma City Thunder (Oklahoma and surrounding states have vast Native American roots). 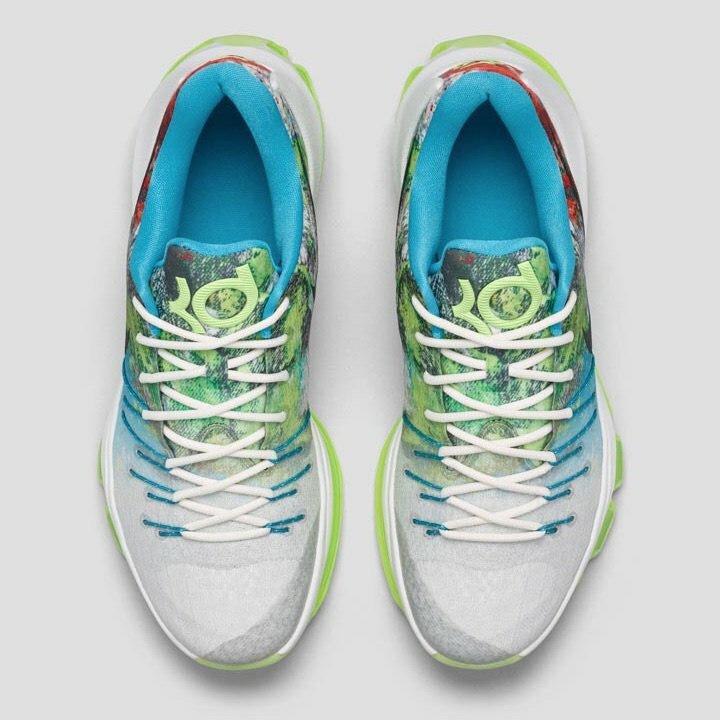 Durant is said to be planning on wearing this N7 colorway on November 8 against the Phoenix Suns for Native American Heritage Night. 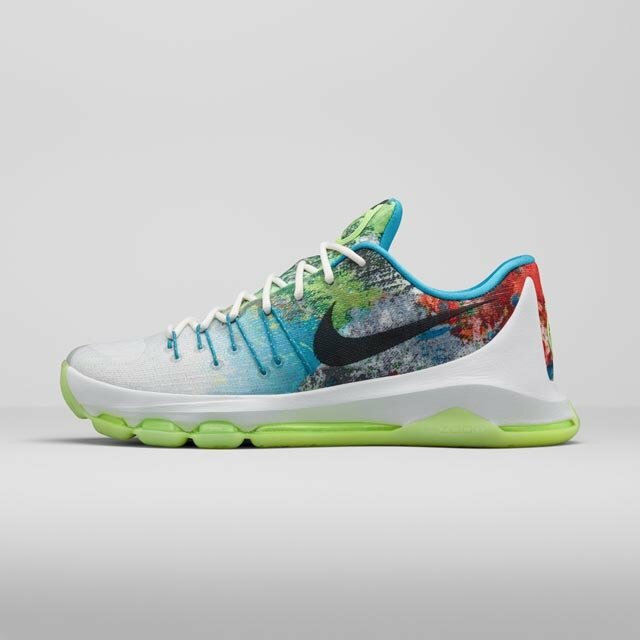 The Nike KD 8 ‘N7’ features a white Flyweave upper that transitions into an array of colorful patterns that look like astrological pattern. Lime green covers the outsole and articulated Zoom Air unit, while reds and blues cover the heel, inner lining, and Flywire. 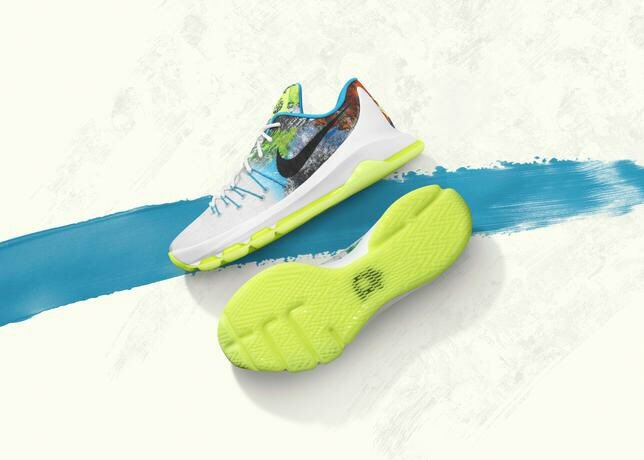 Look to grab the Nike KD N7 on November 7 at Nike Basketball retailers. What are your thoughts on this N7 shoe? Not my favourite hoop shoe at the moment, but this is certainly one of the best colouways till date. for some reason, Nike has achieved on providing one of the best players in the NBA an ugly line of shoes.